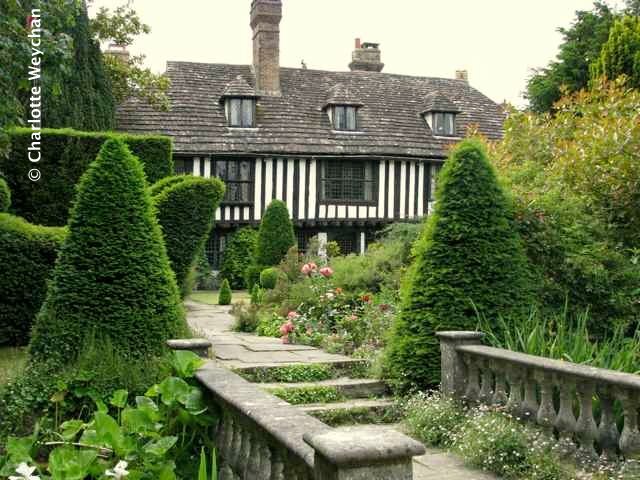 If you fancy a little bit of Elizabethan splendour, beautifully maintained and served with astounding roses in bloom right now, head for St Mary's House, Bramber in Sussex. 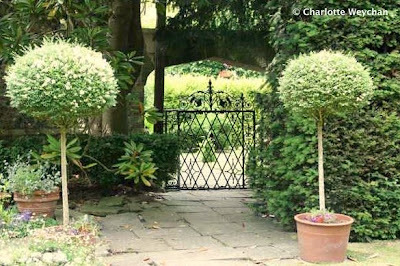 It's an exquisite property that's been lovingly restored by two successive owners, with five acres of gorgeous gardens to complement the timber-beamed house. And, if you get your timing right, you could enjoy a concert in the Victorian Music Room because there's an interesting music and opera programme during the next six months. St Mary's has twice been saved from ruin in the last 100 years - first, in 1944 when the house narrowly escaped demolition because it was in such a bad state of repair and then again forty years later, when Peter and Mary Thorogood purchased the property jointly with Roger Linton. 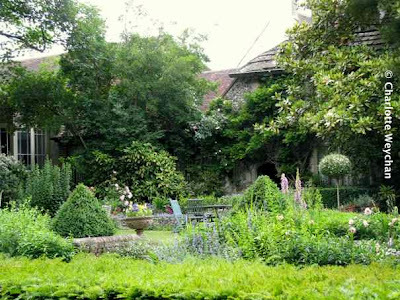 They have spent the last 25 years restoring both the interior of the house and the gardens. So immaculate is the house now that it's hard to believe it could have once faced the prospect of demolition and when you visit you'll heave a huge sigh of relief that this property is here for us to enjoy today. 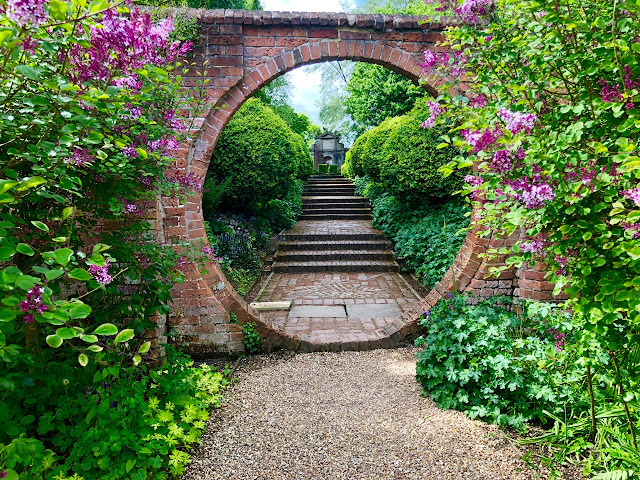 The garden is quite delightful and from the moment you get your first glance of the 15th century house through the topiary garden (top), you will be entranced by the varied vistas and plantings at this historic property. There's a Monk's Walk, a magnificent Walled Garden, which includes the Jubilee Rose Garden, planted in 2002 to commemorate Queen Elizabeth's 50 years on the throne; a charming Terracotta Garden, which is under development, but looking good enough already to show you how it will eventually be; and there are also the pineapple pits, a reminder of years gone by, when this fruit was still grown in England. And beyond the Walled Garden there's even more to see, because Peter Thorogood (already a well-established English poet) has created a charming and unique Poetry Garden with inner and outer yew circles and a bust of Byron. The planting is entirely yellow, blue and white and you'll find some outstanding clematis climbing the pergola here. And beyond this, there's a woodland walk, which comes into its own in the spring with drifts of bluebells. St Mary's is a really charming garden and is open on Thursdays and Sundays from 2.00 - 6.00. 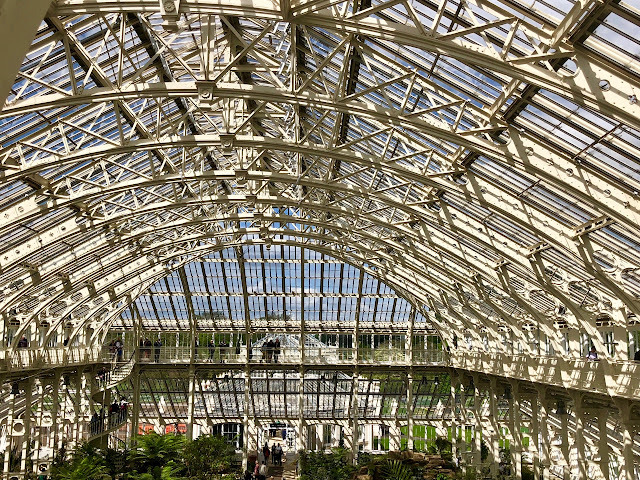 You could easily combine this with a visit to Parham House, or the Royal Pavilion Garden, Brighton. Beautiful, indeed! English gardens will always inspire me, and those people who restore and replicate them, too. What is the poetry garden like? A wonderful idea, I wonder how he executes it? Thank you for the descriptions and photographs, I would love to visit. I so miss seeing these houses in person. As much as I love the Arts and Crafts architecture that is common in California, even that can't compare to these Tudor delights. This house is definitely my idea of dream house! Thanks for sharing Charlotte! such perfection - wish I could pop over to England but since I can't, thanks for enabling me to see it via the blogosphere! It's like going back in history, need lots and lots of labourers to maintain this. 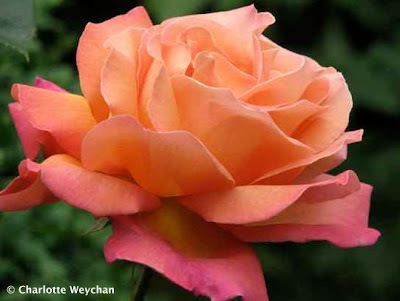 That rose! What spectacular colour! More brilliant gardens here.